Today I have a book and a cause close to my heart for you. Fran Lewis wrote this amazing piece of informative and heart-warming literature on Alzheimers. A bouquet of flowers freshly delivered from the florist has a special fragrance, scent and each flower’s color is bright and the stems stand straight and tall when placed in a vase filled with fresh water. As the days pass and the flowers remain in the vase the perfume scent changes, the flowers begin to wilt and the vibrancy of the colors begins to fade. Within a few days you might see some brown patches, some of the flowers begin to break off and eventually they will crumble in your hand. Imagine what happens when someone who is bright, intelligent, hard working and smart learns that he/she has been diagnosed with Alzheimer’s. Alzheimer’s does not discriminate what it does is slowly wears away at your mind, steals your innermost thoughts, desires and feelings and what is left at the end is the outer covering or shell of the person you once were. There is no cure. There are many different causes and there are so many that wish that the research being done would finally find something to cure it, slow it down or somehow prevent others from having to deal with it. Miracles happen but this one could not happen soon enough. 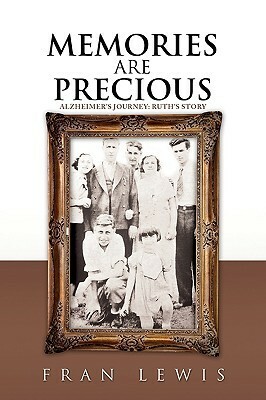 I wrote Memories are Precious in order to make sure that my mom’s voice would never be truly silenced, her thoughts and feelings would always be heard and that other families and caregivers would understand how precious their time is with someone with Alzheimer’s and how they can make the time they have special. Treating the person with respect, kindness, understanding and dignity is just part of it. Read Memories are Precious and hear my mom’s words, read her thoughts and that of many family members and know that you are not alone. Montefiore Hospital set up a foundation in my mom’s name to donate funds to help find the cause of Alzheimer’s. in order to direct donations to Dr. Mehler and his Alzheimer’s and dementia research. “Memories Are Precious: Alzheimer’s Journey: Ruth’s Story” by Fran Lewis is an amazing and a very important read that is informative, inspirational and heart warming. The book is a selection of a huge variety of material: poems, personal dedications and love letters, short pieces of information, facts, guidelines, specific tips, testimonies, lists of resources and a great deal more that – as a family member of an Alzheimer patient – found invaluable. The perspective changes slightly throughout the book, but mostly it tells the story of Ruth, the author’s mother, and there are some passages written by Ruth herself, others are written by Fran but from her mother’s perepective. Trying to descrive a day in her mother’s life as if the mother would perceive it is an ambitious undertaking that I felt came off the ground very well. It helps us once more to try and see the disease from the inside-perspective. One part of the book deals with the stages and the course of the disease as Ruth experienced it. The initially harmless forgetfulness that in her case led to a stroke, induced by an involuntary drug overdose – due to the forgetfulness. Then the change of moods, even change of the use of language and therefore seemingly her character. We get reminded of the curse of the disease which is its inconsistency and unpredictability. With much enthusiasm and strong conviction the author brings home the message and plea of love for the victim, the moral obligation for respect and our support as much as we can provide it. The stories and snippets provide a picture of a loyal caring and selfless mother whose turn it has become to be on the receiving end of goodness. I found these parts particularly touching and beautiful. In this case the family agreed upon to keep the mother in the home, but far from being naive the family made plans and investigated to find out just how to go about it. What follows is a practical guide to setting up your own home care, factual, specific tips regarding the environment and the attitude to bring to the table, meaning emotional and personal advice, and not just speak of safety and health. Included is a short history of the disease, resources and information, websites and a list of signs and symptoms; advice on health care options, diagnosis tools and much more. Never forget the person behind the disease, never forget humanity and remember the bond that was once there, it still is there, hidden behind the symptoms of the disease. This book is an amazing achievement, thank you for sharing your wisdom with the rest of us. I hope it will raise as much awareness for the disease and a need for a cure as is intended with it. Thank You Mary. It is great that people like Fran Lewis are sharing their experience and the further we all can spread the word we might be able to help to ease the struggle for some. I am so lucky thatmy elderly parents are so clear headed, but Ihave seen how difficult the struggle of not being recognized by those you love affects life. It can be awful. Which is why this book is so important. 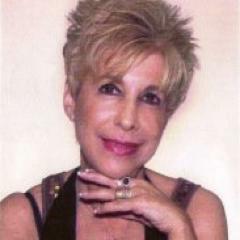 Being that my mother died from Alzheimer’s disease and the amazing Fran Lewis is a new friend, close to my heart for all she does to help other indie authors and she does it with grace and positivity that warms one up, I’m thrilled to see her featured here. I’ve read Fran’s work and it’s exceptional and enjoyable, so friendly and inviting, but I haven’t read this one yet. It’s going on my TBR list as soon as I finish this post. Thank you for bringing her here for more of the world to find out about this very talented giving woman. Paulette, I could not agree more. If you had any doubts about this woman’s selfless, kind and helpful nature you’ll be cured by the end of the book. So much research and so many angles, something for everyone. And yes, so much time for author indie authors. Such a find all round. Just bought the book! I love this woman! And, her writing, talent, all of it. Thank you for writing this book, Fran, and thank you, Christoph, for posting information about this valuable book. My oldest brother was diagnosed with Alzheimer’s in 2001. In those days, he was still lucid and young – he was 60 – and he wanted to read something from the perspective of the patient rather than the caregiver. He would have loved this book in those early years before the disease robbed him of the ability to reason. He did however find himself on canvass with oil paints and a patient art teacher. He painted until the day he died in early 2009 even though the experts declared he couldn’t possibly have the manual dexterity to do so. He even painted with both hands even though he was left handed. His wife and his teacher ignored conventional wisdom and encouraged him to pursue his passion to make the last decade of his life bearable. Thank you both again. Thank you for your comment and the re-blog. So sorry to hear about your brother but glad to learn that it seems his care givers and loved ones didn’t do too badly in supporting him. I appreciate you helping get word out about the book. My oldest brother Marvin would have loved this book while he was still in the early stages of Alzheimer’s. He wanted to read something from the perspective of the patient rather than the caregiver. Fran Lewis provides both perspectives in this very personal and touching book.